Just before his arrest for data theft, internet activist Aaron Swartz requested information from the US government on Chelsea (formerly Bradley) Manning, the soldier found guilty of leaking sensitive documents to Wikileaks. Author Stan Richardson uses this as the basis for his new play, imagining Swartz attempting to craft his own drama aimed at prompting Manning’s release. Private Manning Goes to Washington flags up political conspiracy and addresses the continuing treatment of Manning, now serving a 35-year jail sentence. 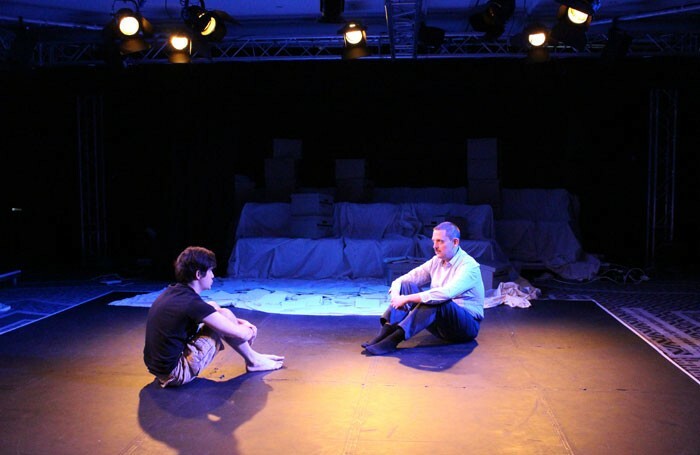 Less of a update on Tim Price’s acclaimed 2013 play, The Radicalisation of Bradley Manning, Richardson instead looks at the butterfly effect of Manning’s trial and imprisonment. The play presents a strange, yet absorbing combination of characters that allows for natural exposition and leads to Aaron commissioning a play featuring a fictional exchange between Chelsea and US president Barack Obama. It’s a work that Aaron is destined never to read since before the first draft is complete, and like the real-life Swartz, he commits suicide while under indictment for data theft. Oddly, it’s at this point that the play loses some of its power. The gear change shifts the focus and the final notes are dramatically unsatisfying, even if they are morally on-target.